David Remnik in The New Yorker. The election of Donald Trump to the Presidency is nothing less than a tragedy for the American republic, a tragedy for the Constitution, and a triumph for the forces, at home and abroad, of nativism, authoritarianism, misogyny, and racism. Trump’s shocking victory, his ascension to the Presidency, is a sickening event in the history of the United States and liberal democracy. On January 20, 2017, we will bid farewell to the first African-American President—a man of integrity, dignity, and generous spirit—and witness the inauguration of a con who did little to spurn endorsement by forces of xenophobia and white supremacy. It is impossible to react to this moment with anything less than revulsion and profound anxiety. I want to avoid overreaction which will look foolish years from now. But the fact is that all of the prior great civilizations have fallen. the British Empire fell apart. Are we at a similar seminal moment in the history of our republic? We will not survive this election debacle and that is not an overreaction either…. sadly, much of the world agrees with you. Doubtful. Your sentiments echo the same ones that came from the right during 8 years of Clinton and 8 years of Obama. While it’s is certainly historically true that all civilizations have succumbed to social entropy, it’s a going to take a longer, slower process than this. Or one very quick flash of light and heat. The way I look at it is we are stronger than one person and we will survive, but if we don’t I prefer the quick flash version myself. follow the history above – each dead empire had a shorter and shorter lifespan than the previous. The usa is and will decline more rapidly than you can imagine and the children and grandchildren will pay the price of old fools in office. After watching snowflakes protesting democracy last night, I’m more inclined to agree with you. The only redeeming thing in all this, is that Evangelical Christianity has been exposed for the total heap of lying, hypocritical garbage that it is. I hope these devout Christians enjoy their lily white, anti-black, anti-immigrant, jew-free and muslim-free America. The alt-Right are now in charge and Evangelicals are firmly bonded with them. At least we can be assured that, as they rose together, they will fall together. And they’ll be the first ones to use religion to create scapegoats for their own failings as societal systems deteriorate or are eliminated. A small quote from Winston Churchill in the House of Commons 1955. And allowed stupid Americans to elect Trump. Racism will now get a nod and a wink while the 99% will be divided, fleeced, deluded, and used as a disposable resource. And the killing of the planet will accelerate so some money can be made and when something or everything goes to hell, scapegoats will be made to fit the occasion. 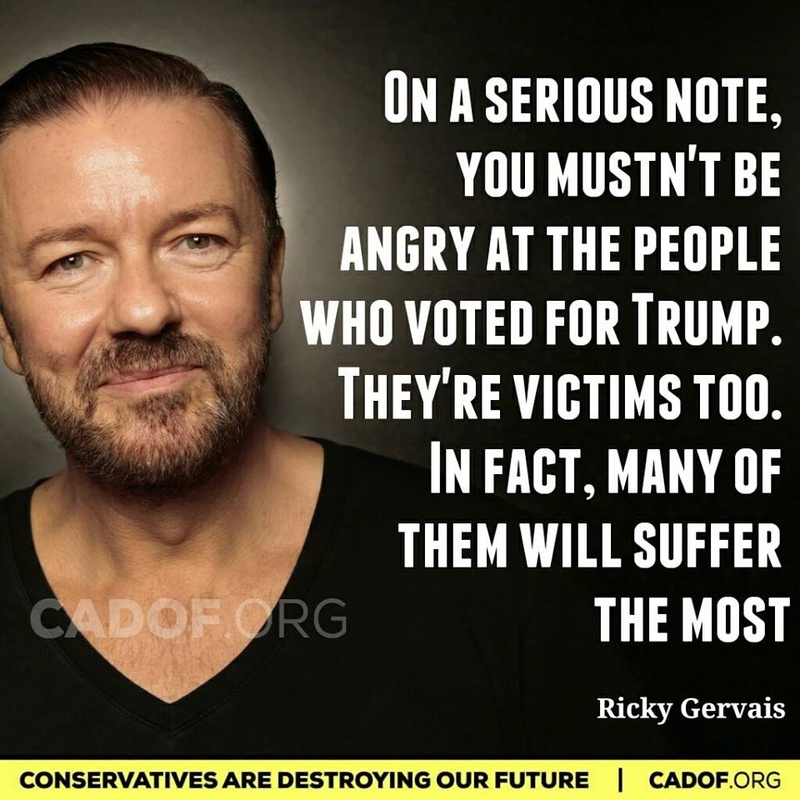 Also the poor, elderly and disabled will bear the first blows in a society that will no longer have a place for them even as their numbers increase exponentially. I will be leaving the country. There is no honor in going down with a sinking ship. and if those of you who are left standing do not continue to at least denigrate the orange fools, you deserve what you get – the thing deserves no respect no matter how white his new house is. The idea of having to resspect this thing just because of his new title is utter absurdity. Disrespect the disrespectful.